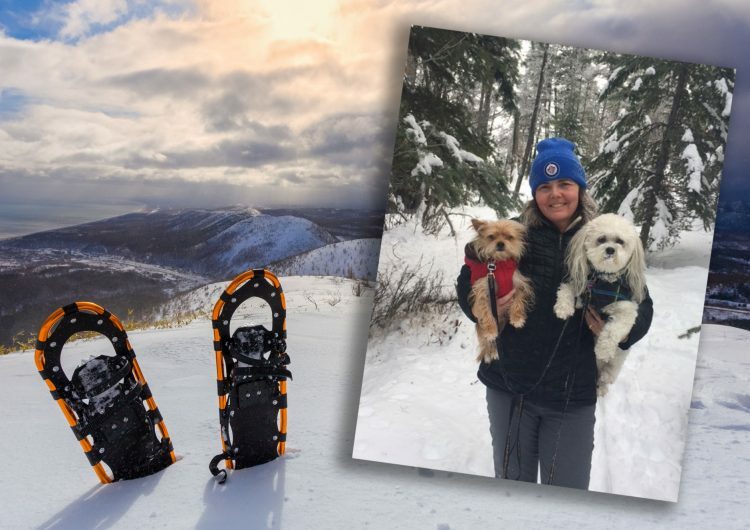 After a day of wine touring try something fun for the whole family, snowshoeing. My husband and I snowshoe all winter and love to explore different trails. Apex, Big White and Silver Star ski resorts all offer snowshoe trails. Our favorite spots are the Kelowna Nordic trails at McCulloch and the Telemark Nordic Club in West Kelowna. The Kelowna Nordic trails are very welcoming to dogs, so we enjoy being able to bring our pets with us. Another wonderful location is Sovereign Lake Nordic Centre in Vernon. 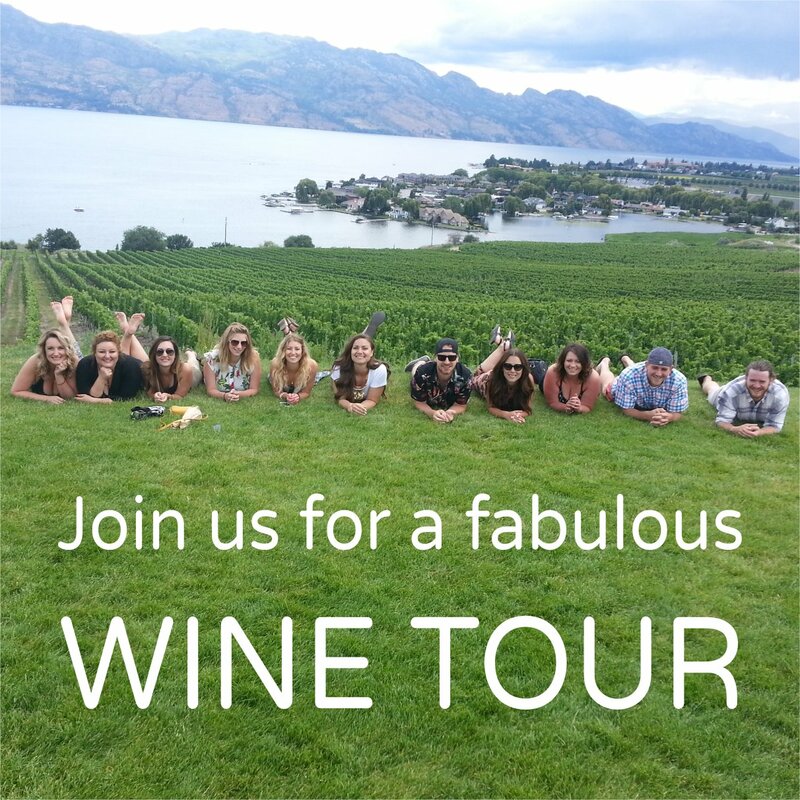 All locations are within an hour of Kelowna, depending where you are staying. This fast-growing winter sport is relatively inexpensive and easy to learn. It offers a great cardiovascular workout in a beautiful winter setting surrounding by snow draped trees. The ice crystals that form on the tree branches glisten in the sun. If you keep a look out you may be lucky and see moose or deer. Unlike the summer you can see many animal tracks in the snow, rabbit, deer, moose and coyote, to name a few. With ever changing weather conditions ensure that you layer your clothing and bring extra layers in your daypack. For your first layer a wicking shirt and longjohns are recommended. A down or fleece top is great for the next layer, ending with a waterproof jacket and pants. Protect your feet with wool socks and waterproof boots and your hands with warm, waterproof mitts or gloves. For the chilly winter days, a scarf and warm hat are a must! Some use poles for added stability and more of a workout. Poles help protect your knees on a steep grade and help you to get up if you happen to land in a pile of soft powdery snow. Ensure that you bring along water and a snack. Other items that you may need are sunglasses and a camera for those awesome photo opportunities. Modern technology may not help you much as you will often not be within cell service and phone batteries do not like the cold. It is much harder to get warm than to stay warm so try to do these seven things while in cold weather. Eat often: food is fuel so fill up on carbohydrates, fat and protein. Dried fruit and nuts are ideal. Cover your ears: Choose a hat or headband that protect your ears from cold wind and freezing moisture. Keep moving: it is best to take brief rest breaks standing up. Layer and unlayer: your base and mid layers should stay on, but you can adjust your temperature by adding or removing a fleece vest, or neck scarf. Carry warm drinks: a thermos will guarantee a hot beverage to sip on. Wear gloves: don’t wait until your hands feel cold to put on a thin pair of fleece gloves. Pace yourself: winter trekking will take more out of you than a summer stroll, so give yourself plenty of time to reach your destination and return. The sun goes down early in the winter. Snowshoe rentals are available in Kelowna at Fresh Air Concept, Sports Rent Kelowna, Mountain Equipment Co-op and at Telemark Nordic Club, Big White, Sovereign Lake, Silver Star and Apex. So grab your snowshoes and get out and enjoy the Okanagan’s beauty!